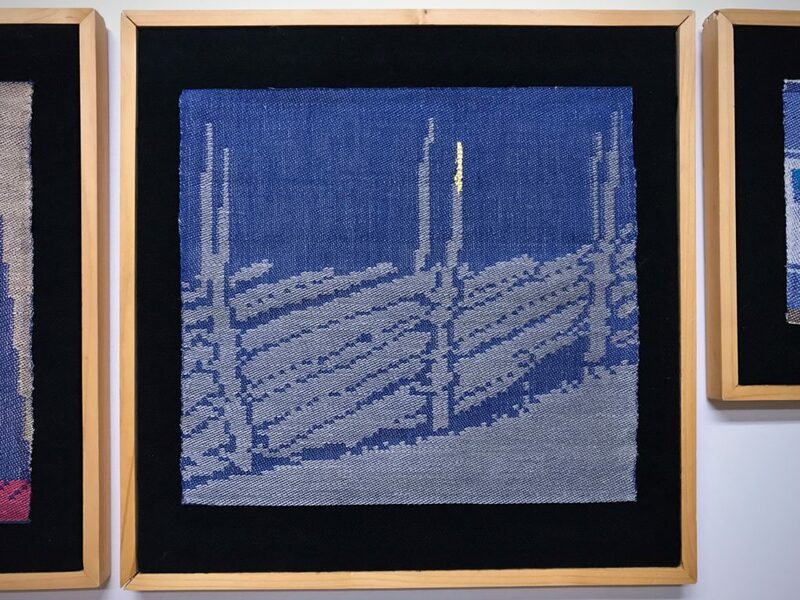 A zillion threads—2,064 ends, to be exact. I wound the warp in four bouts. And then, …a sinking feeling! I had wound each bout with exactly half the ends needed. 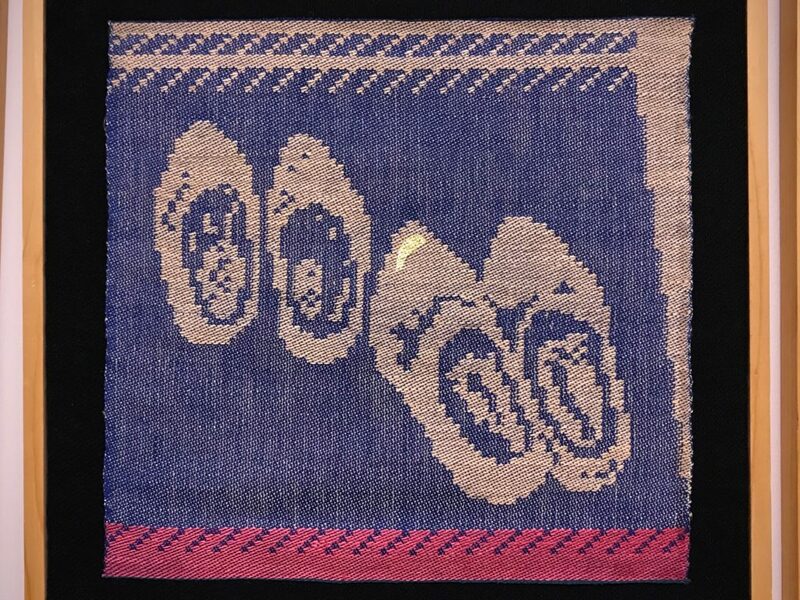 This double weave throw, almost the full weaving width of the loom, needs 1,032 more ends. Winding one bout of the warp. Eight warp bouts. 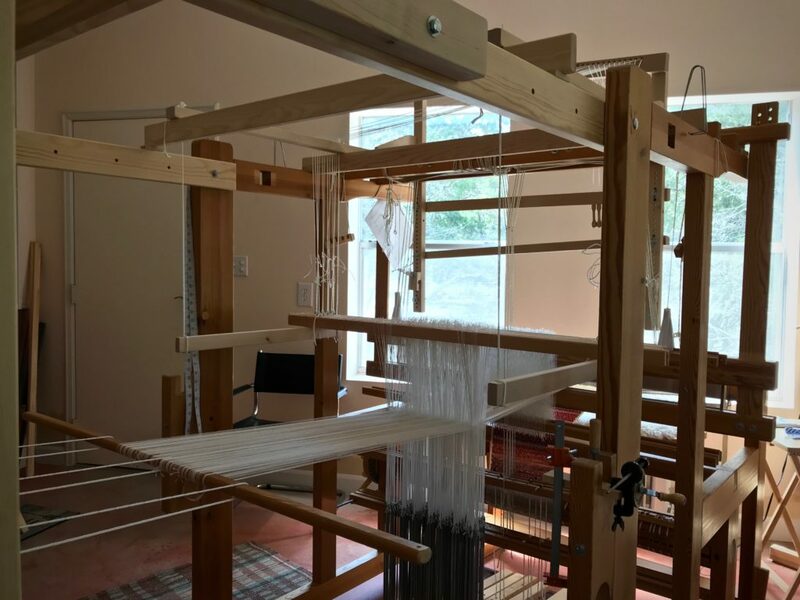 Ready to begin dressing the loom. Walk. How we walk through life matters. To walk in a manner pleasing to God we need to know what he wants, and give that our full attention. If I run ahead, eager for the next experience, and neglect to consult the Grand Weaver’s project notes, I’m asking for trouble. 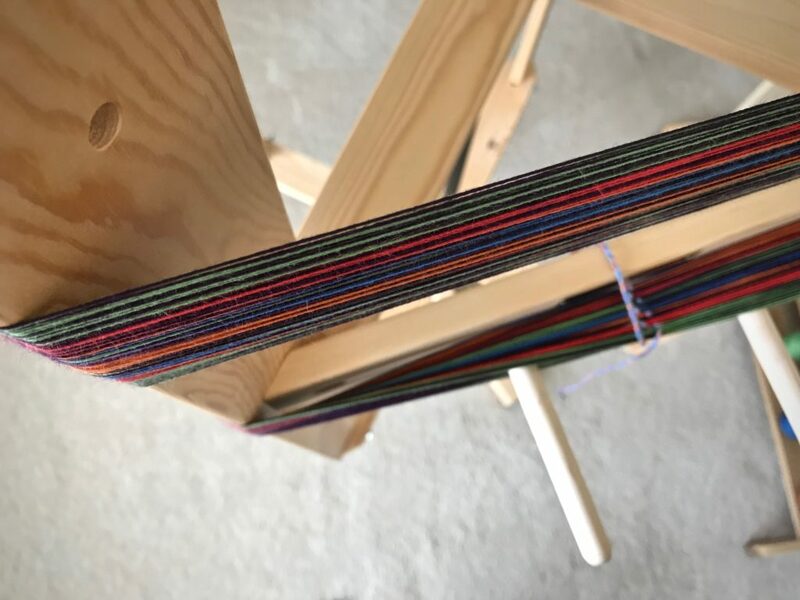 The vibrant-colored warp will still get on the loom, but this is called learning the hard way. May you learn most things the easy way. Oh, Karen! That is the hard way! Your perseverance is so admirable! 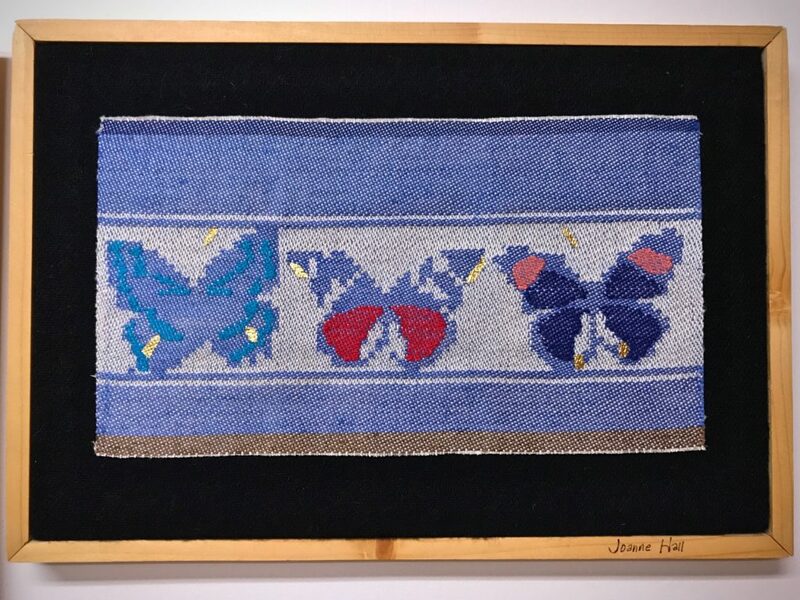 I can definitely relate to this lesson in life and in weaving. It seems I frequently don’t pay enough attention to the Holy Spirit ‘s direction or pattern directions. One benefit of learning the hard way, though, is same mistakes are rarely made. I love all the colors I see. I am looking forward to seeing the work in progress. Have a blessed day, Karen. Hi Annie, Sometimes I wish I could go back a little in time and do it correctly from the start. 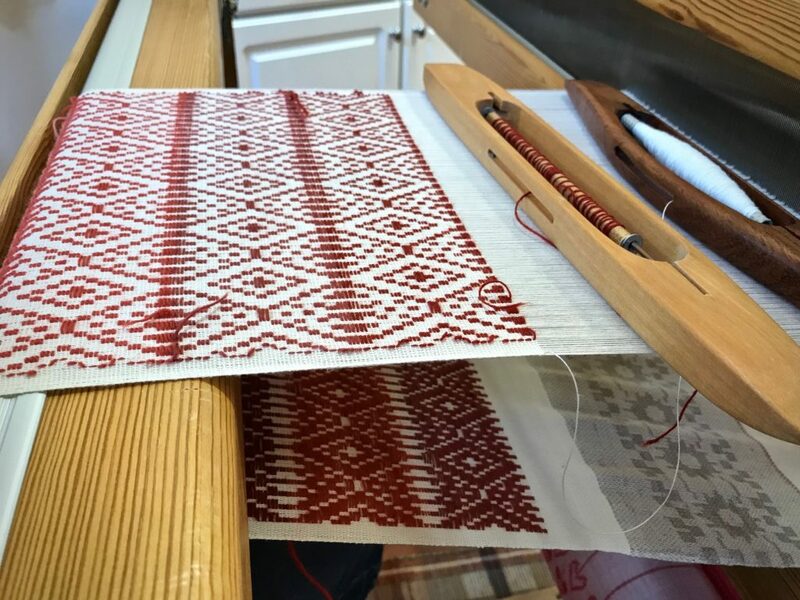 With weaving, fortunately, if something can’t be undone it usually can be fixed. I don’t want all those threads to fail. I have too much invested in it—time and $. I think I can safely say I will never make this mistake again! Listening to the Holy Spirit’s directions is one of the most important lessons in life. Your post is so timely! Something was wrong with my scarf project, it just didn’t look right. 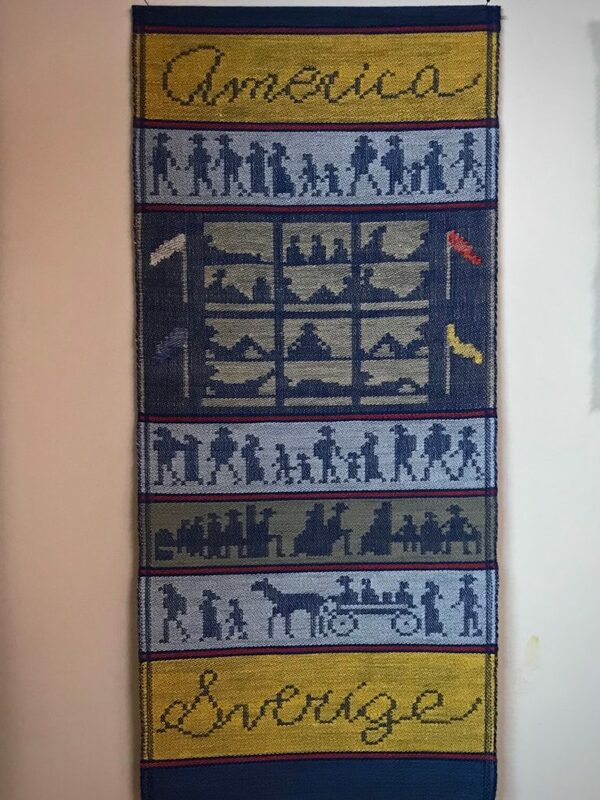 Eager to get going, I started weaving. It soon became apparent that the sett was wrong. Off it came & I re-sleyed. I read your post and thought I should read the draft & instructions again before I started weaving. 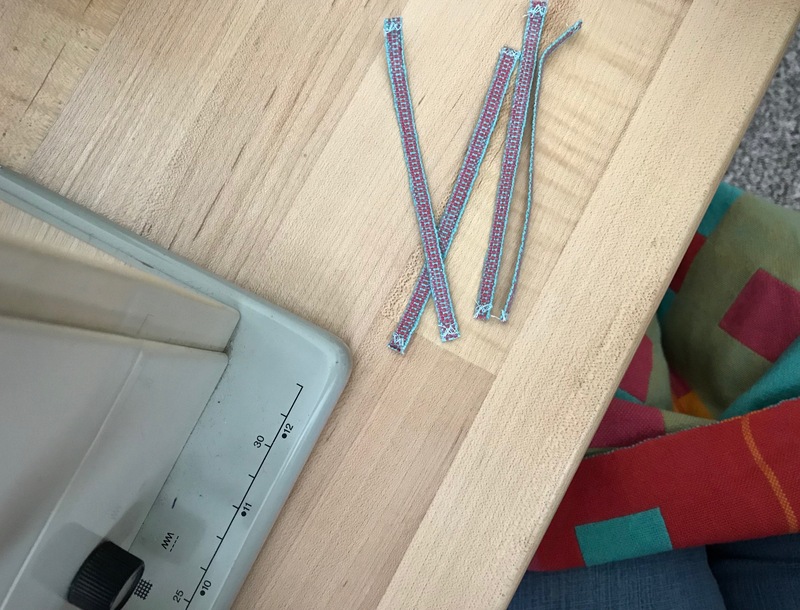 It was an ‘aha’ moment, I was not treadling correctly either. 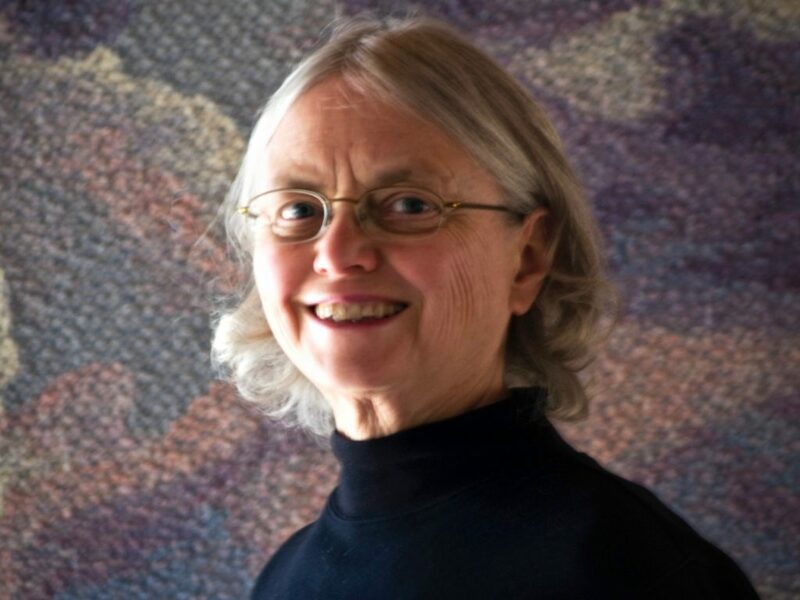 Hi Barb, These mistakes can happen so easily when we are eager to get started. They are just as easily avoided if we slow down enough to review our own information. Hopefully, we are learning to not make the same mistake again! We can be an encouragement to each other! 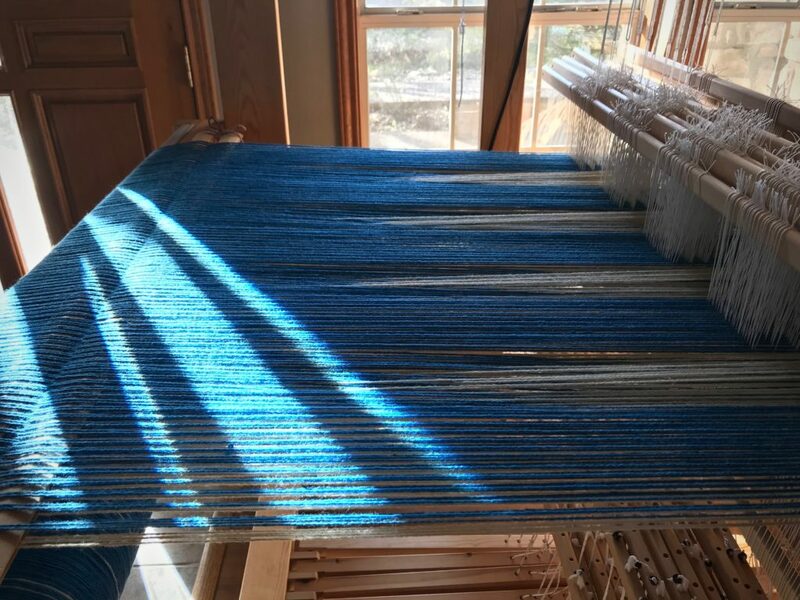 Narrow stripes on the warp beam are stunning. But to wind a warp like that means frequently cutting threads and tying knots. Right? …not necessarily! 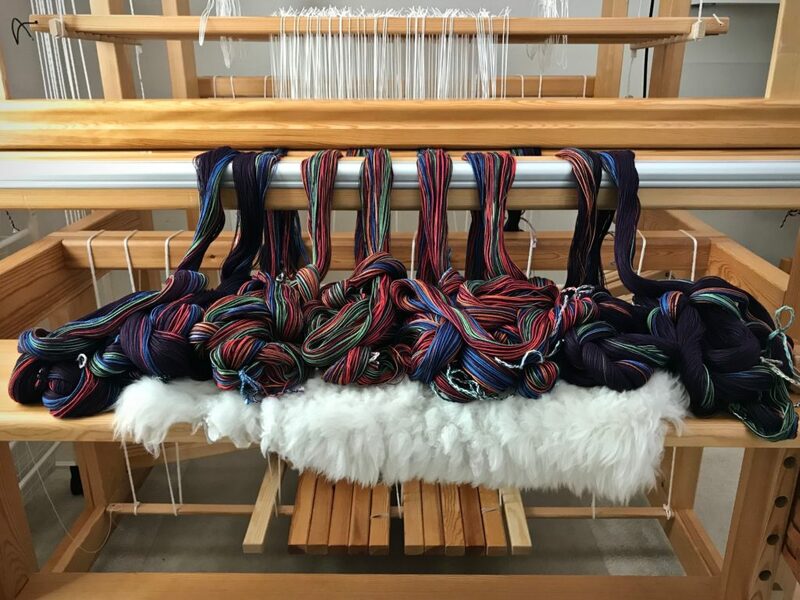 You don’t have to wind a warp with stripes in order to have a striped warp on the loom. I didn’t know that. 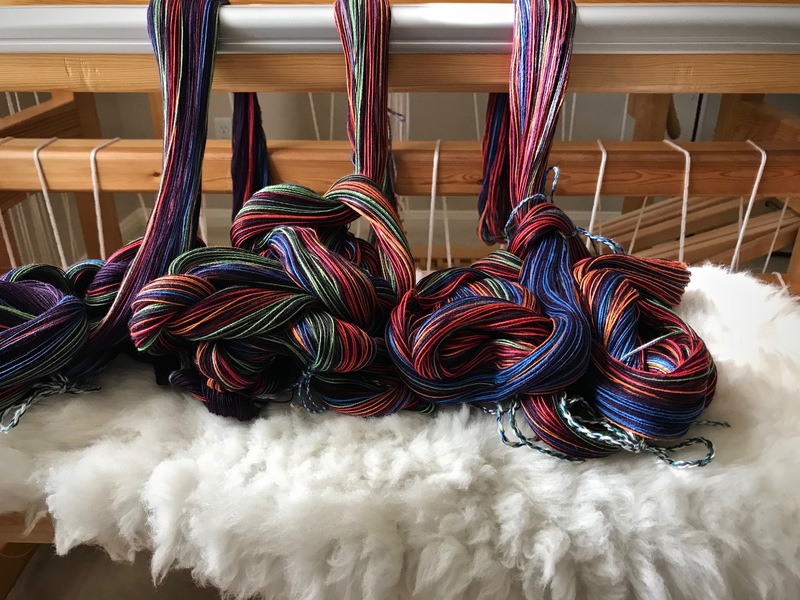 I thought that tying knots is the price you pay to get warp stripes. 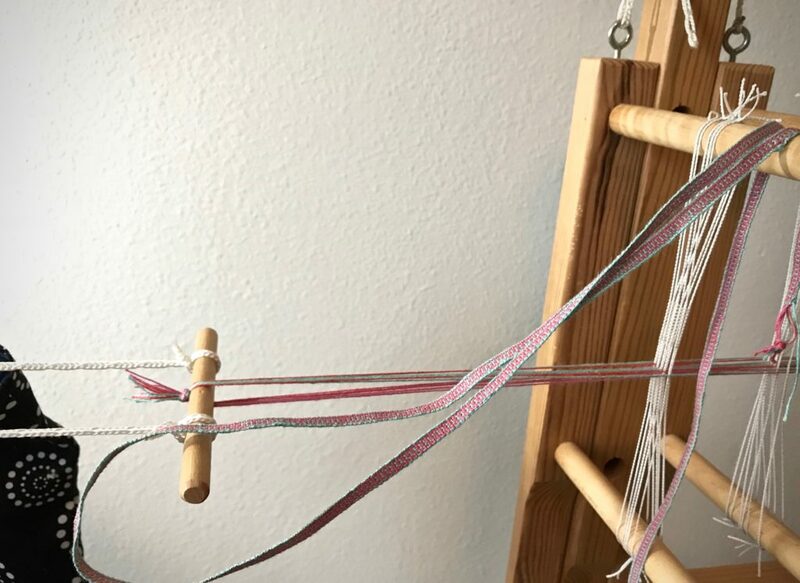 Winding this warp was a breeze! The secret? 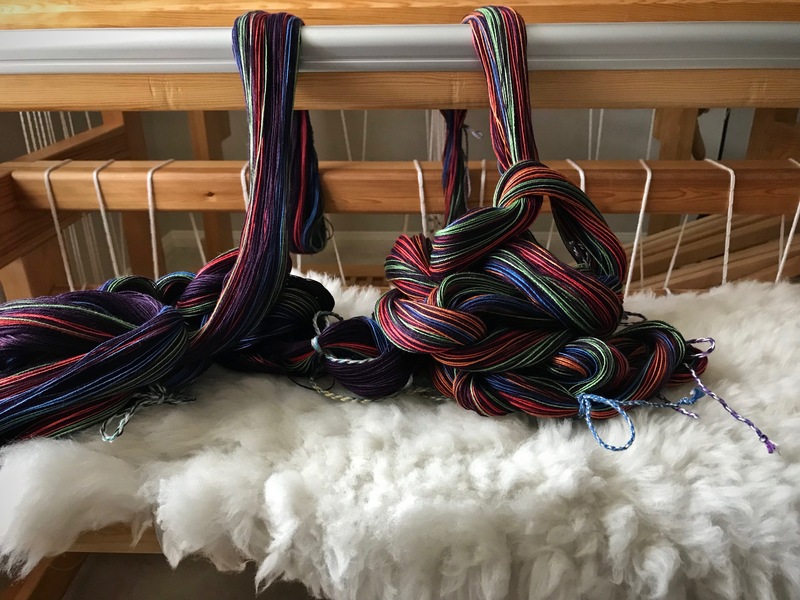 A separate warp chain and set of lease sticks for each color. 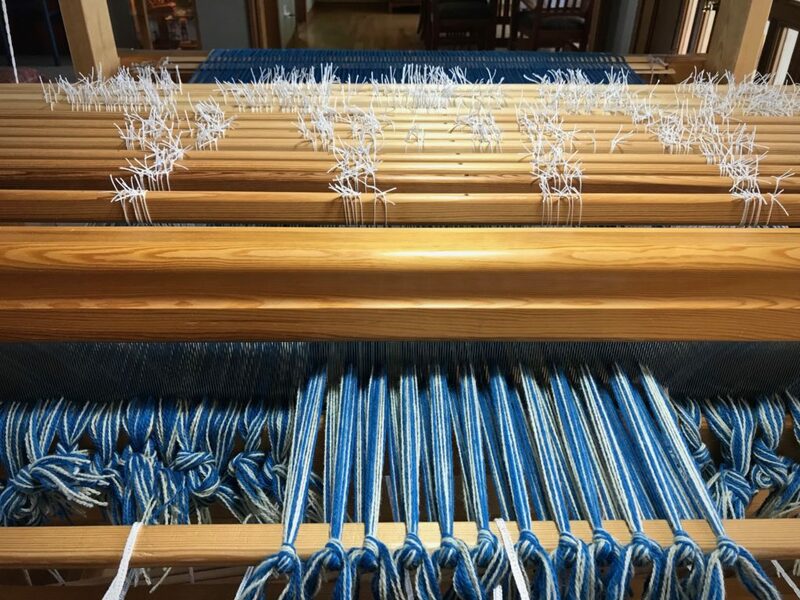 I combined the threads, keeping them in proper order, as I put them on the back tie-on bar. That part was a little tricky, but will only get easier with practice. 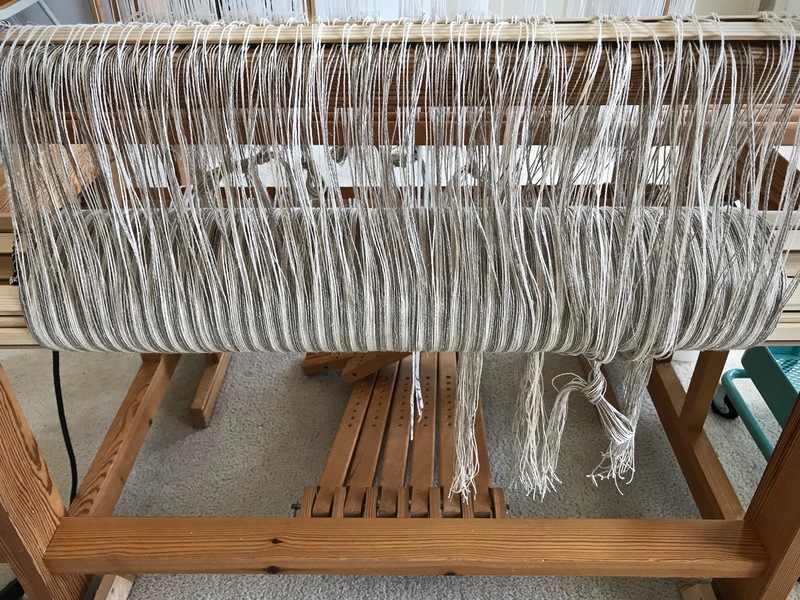 Unbleached and golden bleached linen pair up for this striped warp. Knowledge. Knowledge gives us freedom to do things in a new way. This is why prayer is effective. Not praying for so-and-so to change, but asking that they may be filled with the knowledge of God’s will. And then, God takes it from there. Your prayer may be what it takes to initiate a new outlook on life for someone else. Much like finding a different way to put stripes on the loom. May you find a new way to simplify. 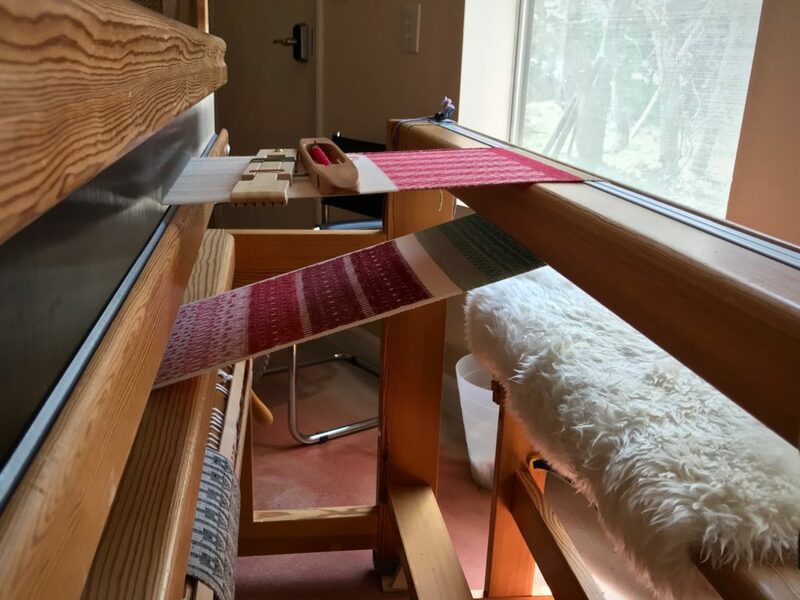 Question: So…2 warps, one color on each set of lease sticks. You held them and spread the correct number of threads for each stripe? 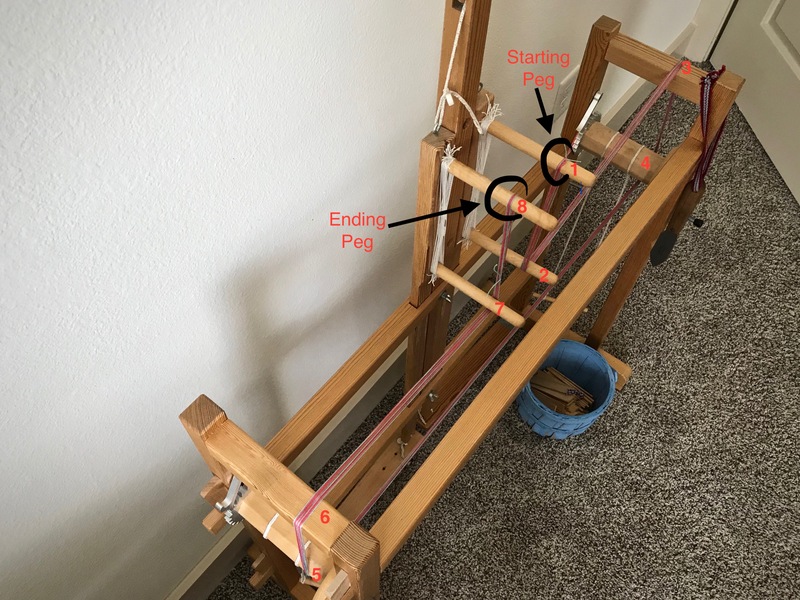 Sliding the remainder of the warp over til the next counted out stripe…and kept them on the 2 setts of lease sticks, but ended up with those lease sticks held together and tied on to the back rod together? Sounds like a lot of good possibility. Thank you! Hi Karen, Yes, that’s close to what I did. 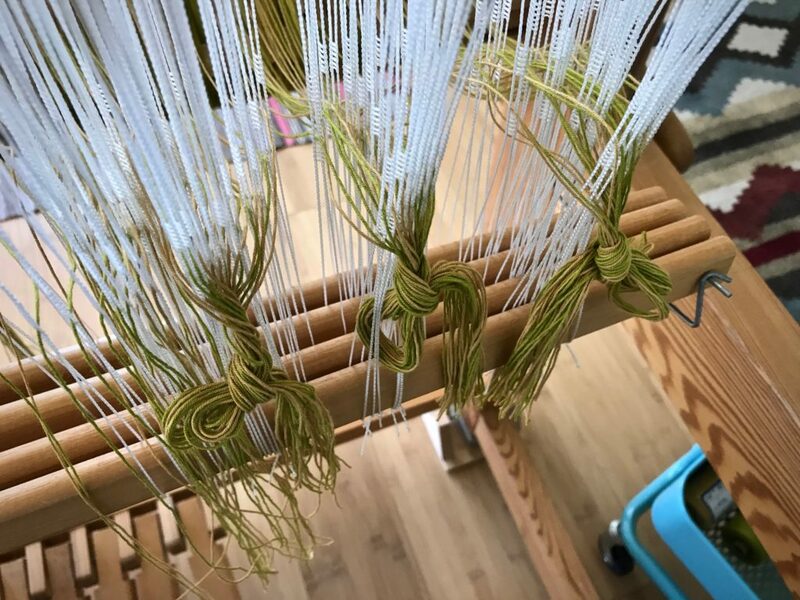 Alice-Ann’s comment below mentions putting dowels the ends of the warp chains. I did that, except I used warping slats because they were handy. There is great possibility with this. 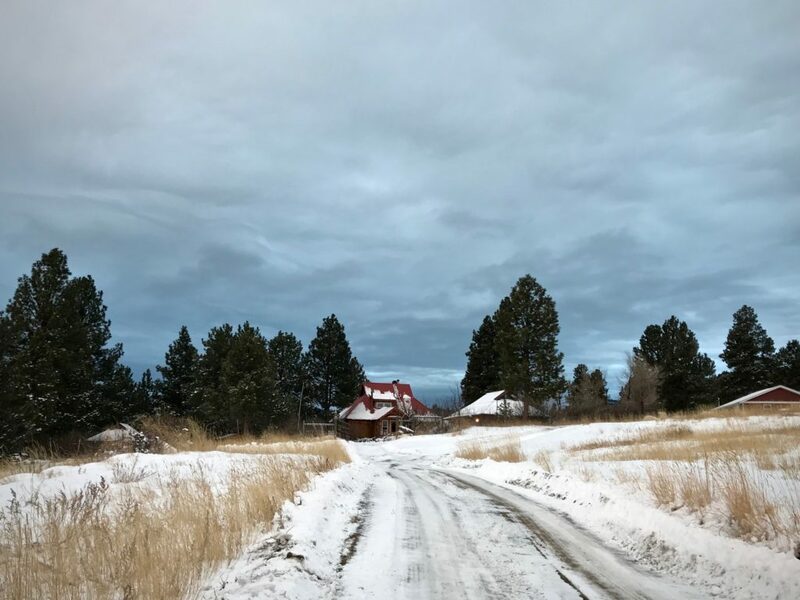 I am certainly going to explore it more on future projects! Marcia, I’ve done it twice, now, so I think I can do it again with more confidence. I will bring any new insights or procedures here. OK, I followed some of that and think I see it the way Karen does. But I think maybe the lease sticks are place in the usual positions, not wound on? 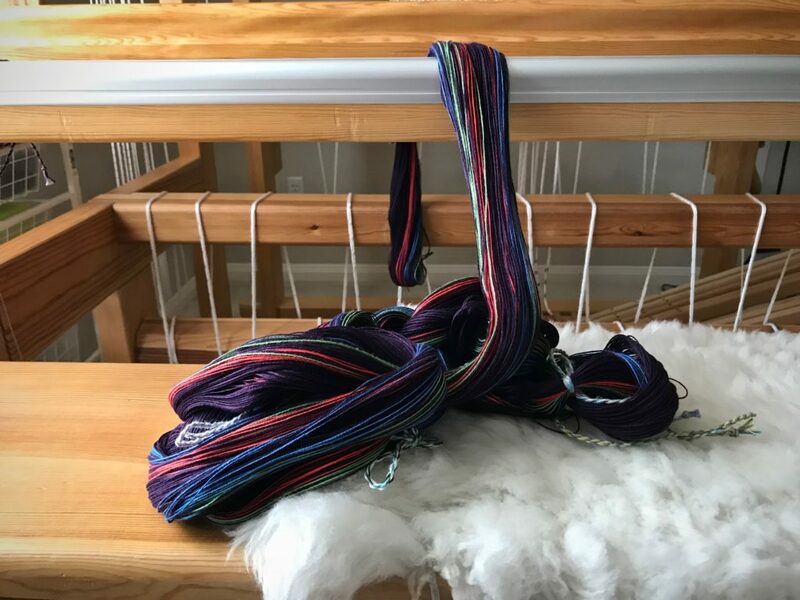 Add x amount of one color off the end of the warp chain and slip them on the back bar, get the amount of color #2 from warp chain #2 and slip them off that end of warp and onto the back bar. Correct? 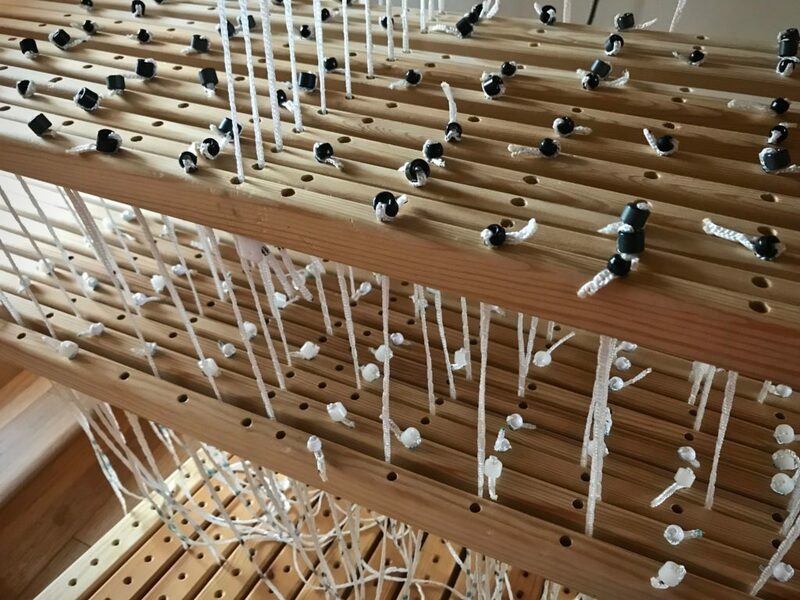 I think I might place a dowel in the ends of each chain just to keep them straight instead of having to reach all the way to the lease sticks to get the correct ones. I can see that the stripes would have to be an even number if you don’t want to cut and tie. Very clever, we need a little video! Hi Alice-Ann, I am still figuring out specific procedures for doing this, but your description is pretty close to what I did. 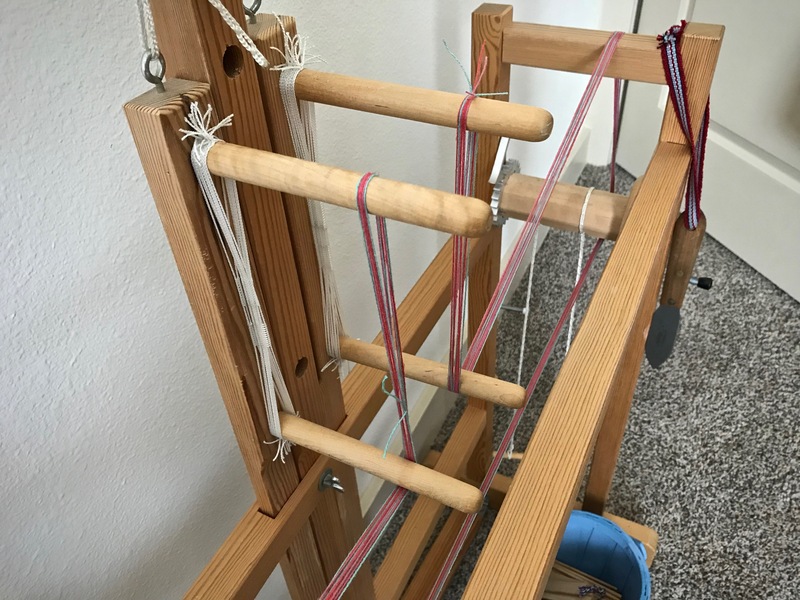 I moved all the threads to a separate dowel first, 4 from chain #1, and 4 from chain #2, and so on. After that, I moved them to the tie-on bar. That made it a little easier to deal with separations between beam cords. The stripes do need to be even numbers (pass pairs), but the numbers in each warp chain can vary. On the first project, I had narrow stripes between wider stripes. You have to plan the spacing for spreading the warp, but it wasn’t a problem. Also, I’d like to attempt putting all the ends on a single set of lease sticks, but I was too chicken to try that this time around. Thanks Karen. 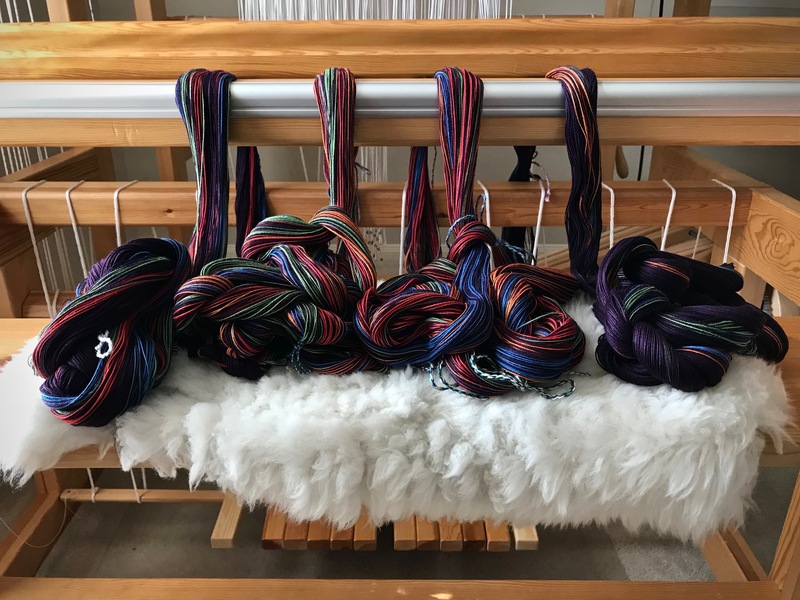 My brain did not want to cope with taking 4 threads off one warp, then 4 off another and at the same time putting them on the back bar. Doing the stripe size choice before putting it all on the back beam might be a bit more work, but makes perfect sense to me! 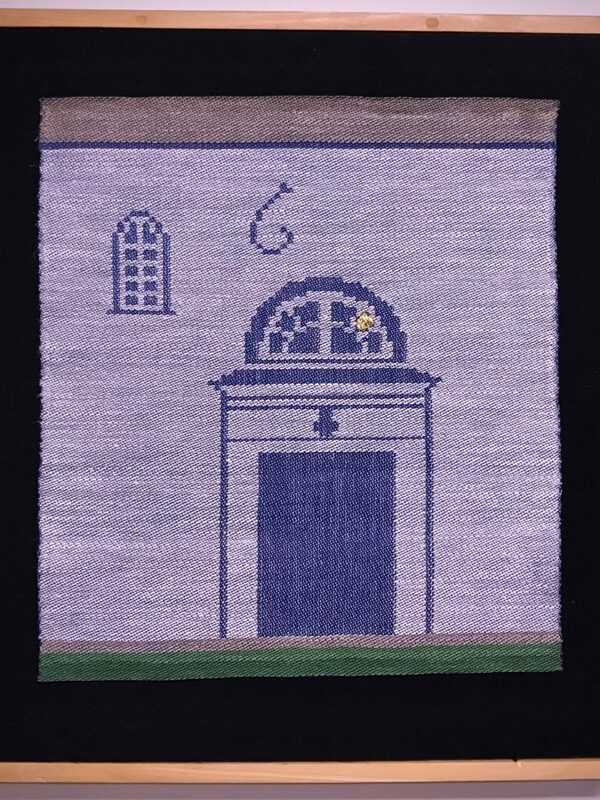 One could even sit at a table with the two (or more) warps being supported. The balancing act was not working in my head. Not on the first try anyway. 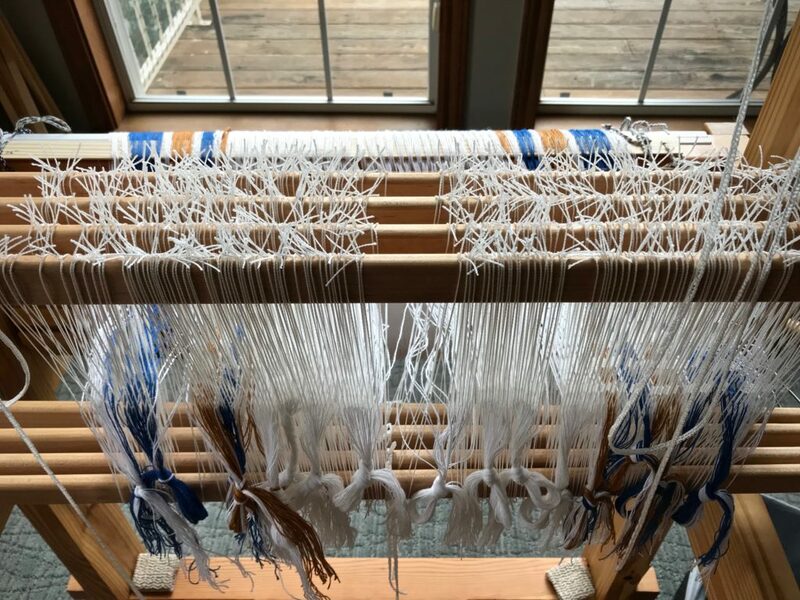 I would make a mess even with both sets of lease sticks tied to the loom. I am liking this more and more. I can hardly wait for the video! 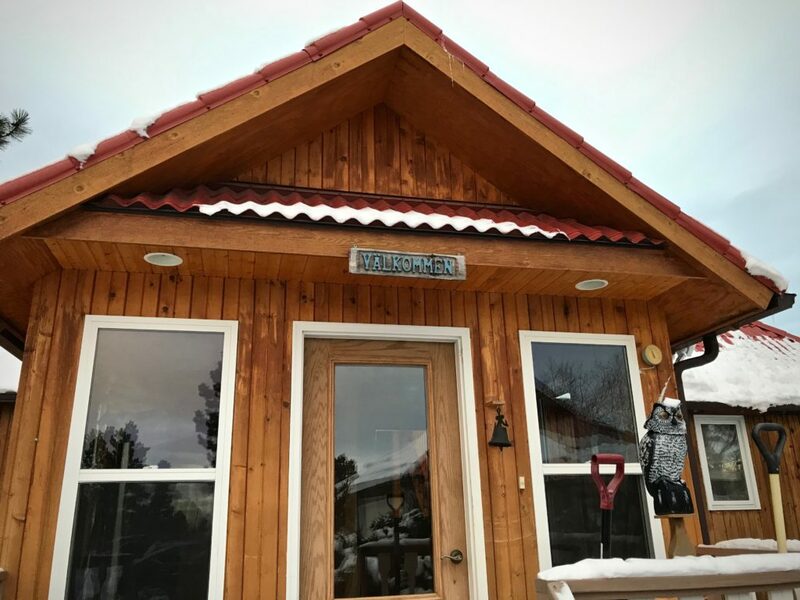 Alice-Ann, I am beginning to plan my next projects. I pretty sure I’ll have another set of stripes to work with soon. Could you also just wind separate warps and pre-sley them into their stripes? Or am I misunderstanding what’s been said? Hi SM, Yes, you can wind separate warp chains and pre-sley them into the pre-sley reed in order. 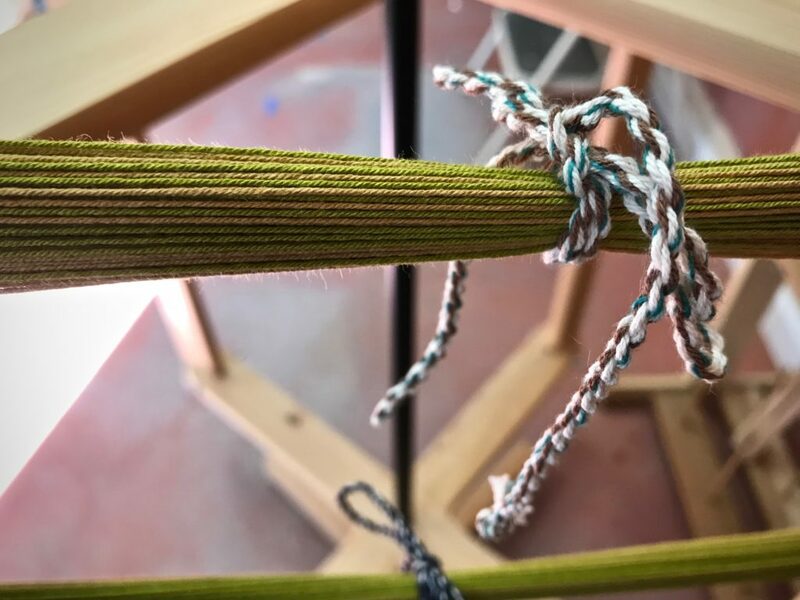 That is what I did, putting a stick through the end loops of each warp after it is pre-sleyed. The tricky part comes after that in getting all the end loops onto the tie-on bar. 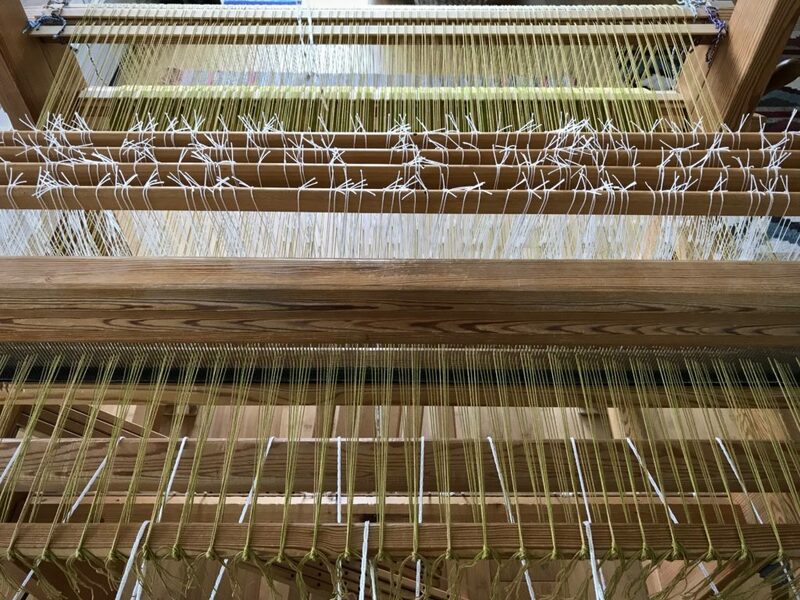 With one warp chain, you can flip the reed over the lease sticks to get all the end loops to pull out. With two sets of lease sticks, I had to do more “hand picking” and there are more sticks and things poking around to have to manage. Oh! I get it! Sorry about that. For some reason my brain wasn’t registering that you were all talking about the END loops…even though that’s what everyone said. . Yes, now I can see where that would be a factor. Thanks for walking me through this; I would love a video! 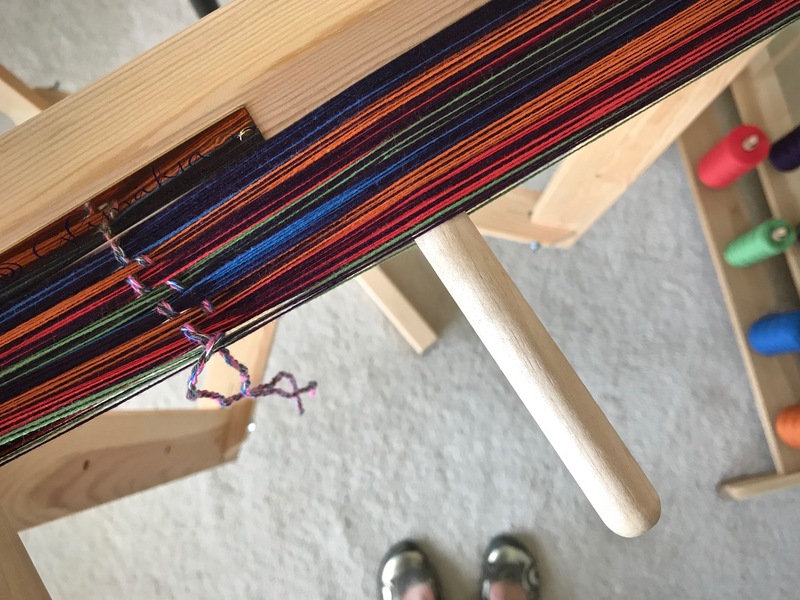 I just wound a thin-striped warp and it was not fun with all the starting and stopping. Have a great day! SM, Don’t worry, it’s confusing to begin with. I have wound many, many striped warps, and I don’t really mind it that much. But still, this new method will probably be a game changer for me.